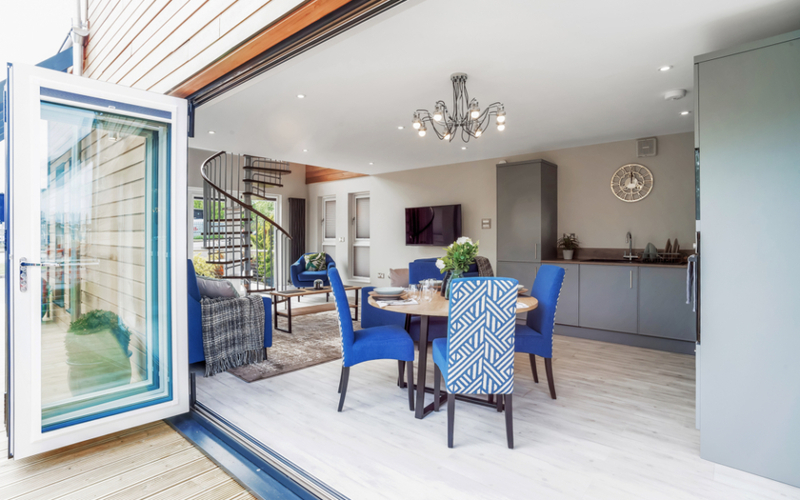 The Loft is a two-storey holiday home designed and manufactured by Tingdene Homes under THL Modular branding. 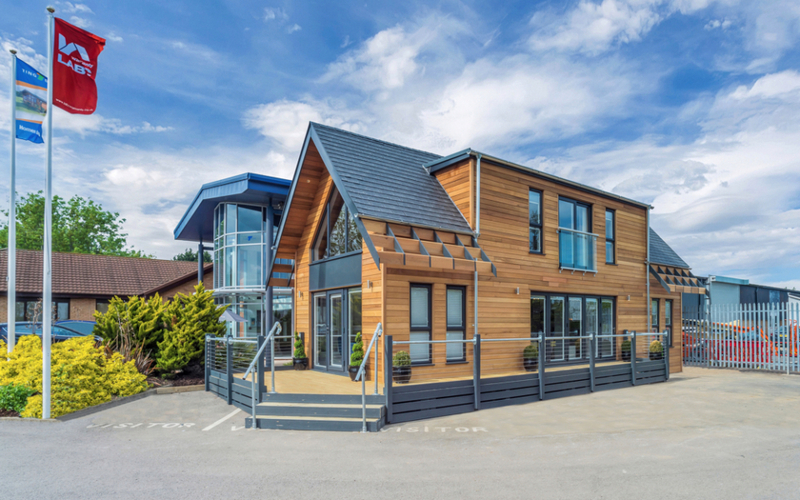 Tingdene have been active in the modular industry for 50 years with park homes, lodges, social housing, schools, hotels and student accommodation all being part of their portfolio. Today’s off-site manufacturing has considerably advanced with THL Modular leading the way with cutting-edge design. The Loft is constructed using a modular steel A-frame with Cedar cladding and high-spec finishing touches. 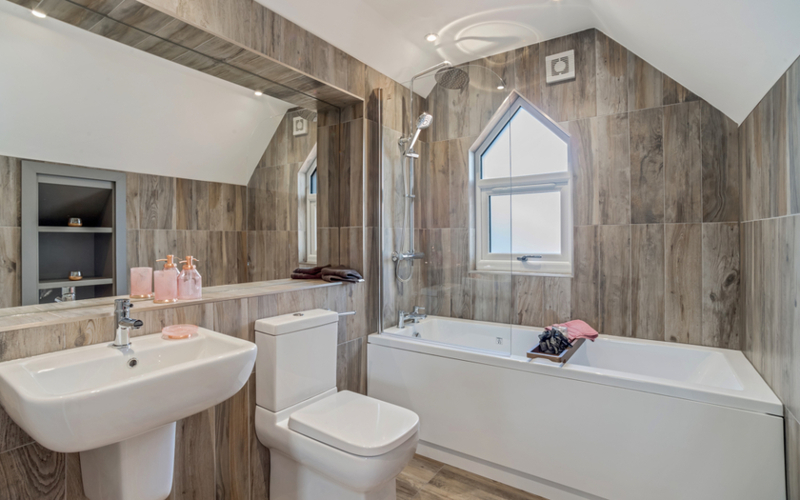 The home is LABC approved and built to UK building regulation. The beauty and unique aspect of the Loft is its modular construction. 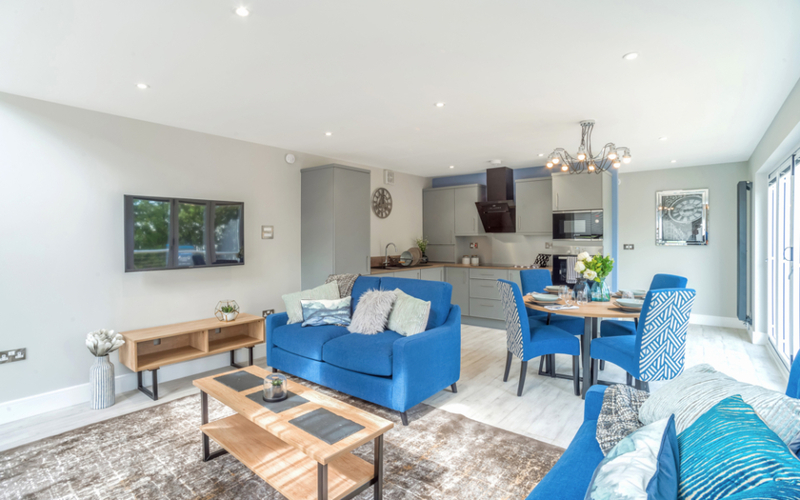 The home is factory built, including full kitchen fit out, delivered to site and craned into place. It arrives in two parts meaning that siting takes just one week from the arrival of the home to completion. 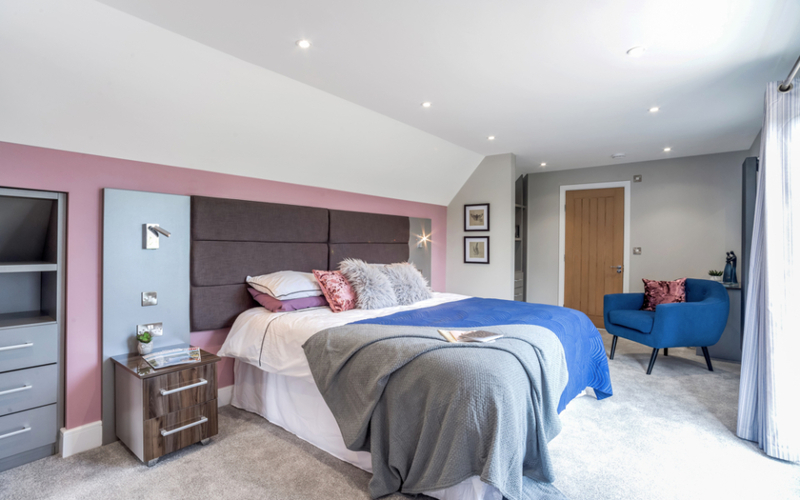 There are huge benefits to this; very little disruption on site with no delays in construction as the whole home is built in a controlled factory environment. The quick siting process means a fast turnaround on investment; 7 days after it arrives it can be rented out! 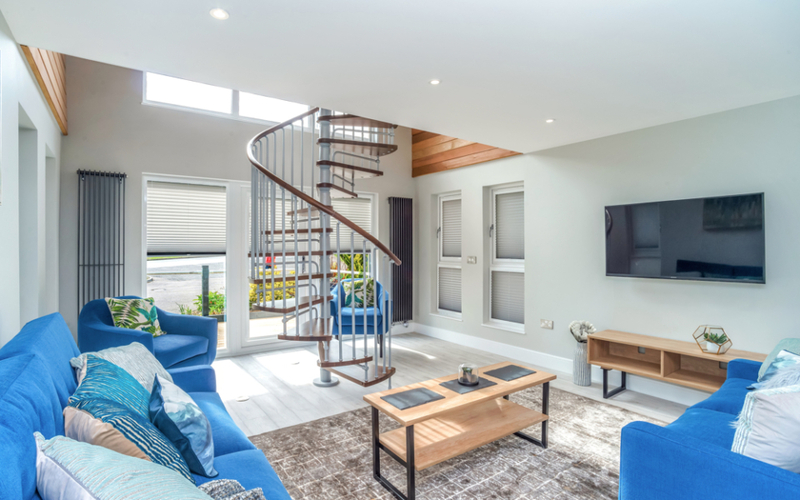 The Loft is a truly stunning home oozes luxury appeal from the exterior Brise-Soleil roof feature to the bi-folding doors and Juliet balcony. 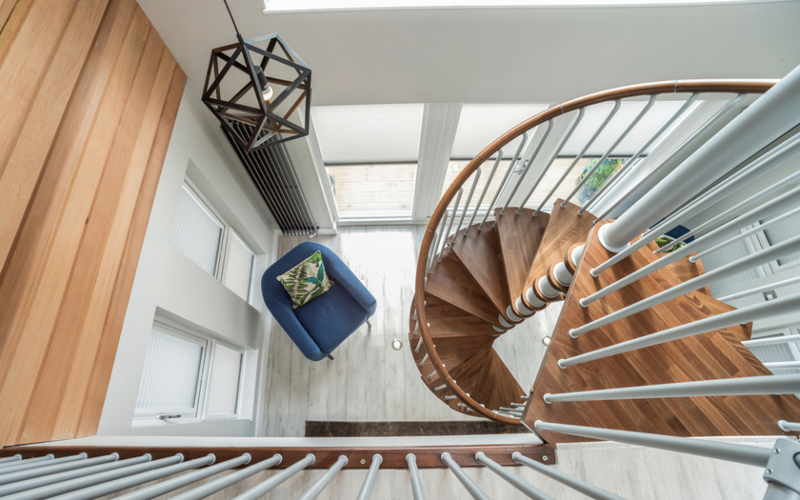 The interior boasts contemporary design and furnishings complete with spiral staircase and is inspired by Manhattan loft apartments. • LABC product approval – assured compliance with Building Regulations. • Superstructure is a light gauge galvanised steel frame inclusive of internal walls and roof trusses. • Thermal Properties – U values of 0.13W/m2K Floor, 0.18W/m2K External Walls, 0.14W/m2K Roof. • Light weight polypropylene compound roof tiles, NHBC approved, completely recyclable. • Thermal bridging analysis performed. • Air permeability tested to exceed current standards. • TMV2 hot water controlled. 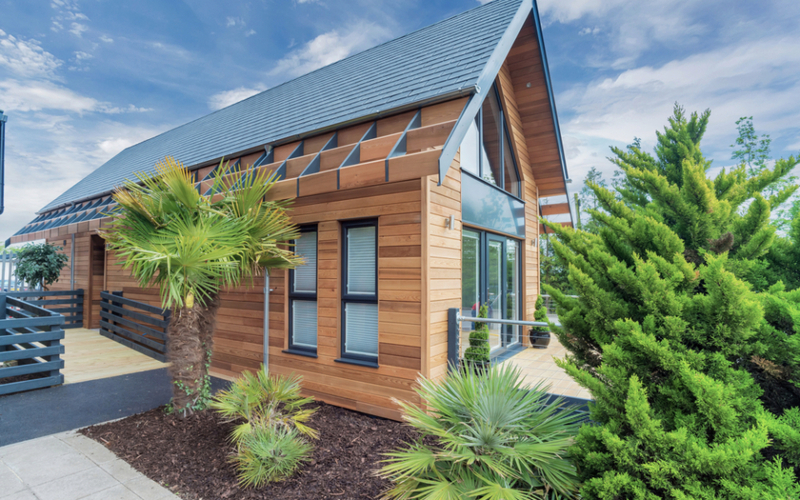 • Treated Cedar cladding from a sustainable source. • Ornate Brise-Soleil to complete A-frame design. 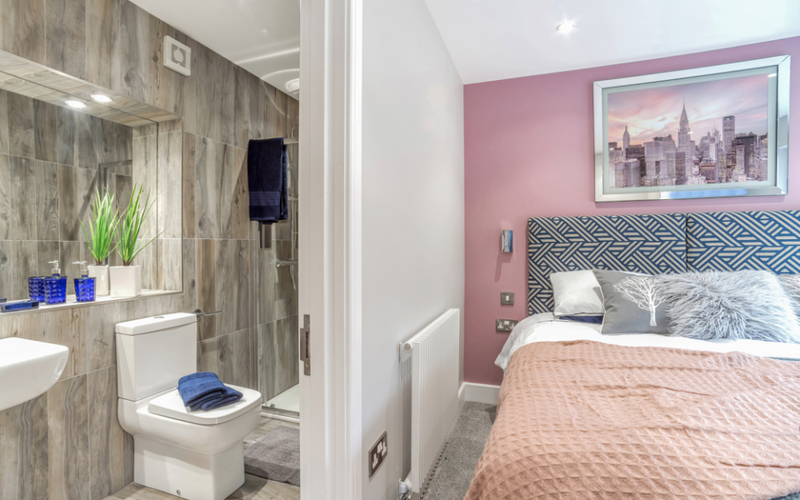 • Fit out includes Crib 5 soft furnishings, Juliet balcony, spiral staircase with glass balustrade, double en-suite, wine cooler, stainless steel rainwater goods. The Loft can be created to your individual business requirements with bespoke options and sizes available subject to contract. Please contact the team to discuss your ideas and project further.